Petite in stature but bold in form, the Melange Vanity Stool is the paradigm in nuanced modern design. 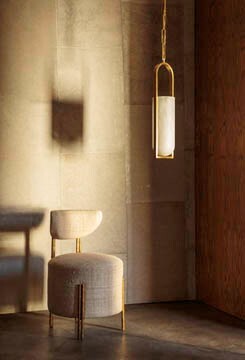 This stool features solid cast brass legs with an artisanal hand that’s been finished in a lightly polished burnished brass patina. The upholstered seat is available in a selection of curated fabrics and leathers.